In Chartist, there is no scripting or programming involved in creating a diagram. You interact directly with the drawing objects. To place a shape on the drawing, you click on the desired shape from the shapes palette, then position the shape where you want it. To move the shape, you just click on it and drag it. To stretch or shrink a shape, you select it, then graph of the sizing handles, and click and drag until you get the desired size. Benefit: Quickly get the arrangement, styling and sizing of the shapes that you need. 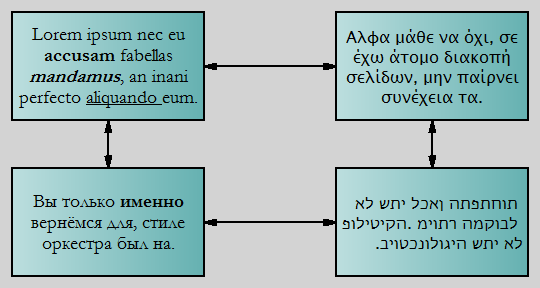 Shapes can be connected with lines to indicate relationships or flows. In Chartist, you designate the beginning and ending points of a line, and Chartist will maintain that connection as you move the connected shapes around, and change the properties of the connection. 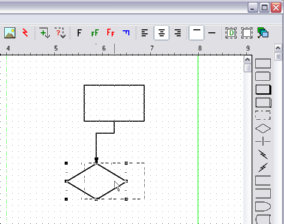 Benefit: Save a lot of time, since you do not need to reposition the connecting lines each time you move or change a shape. To move a symbol, just click and drag. The connections move, too. 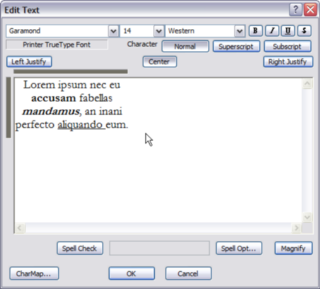 The text in symbols can be in and typefaces supported by your system. There is a full featured text editor built into Chartist, that provides a very standard user interface for editing text. Benefit: Have exactly desired text look that you need in your document. Unicode is an international standard for encoding text. As such it supports many languages and symbols. Benefit: Create documents in different languages, and use special typographic and scientific symbols. The individual shape borders, shape backgrounds, text and lines in Chartist drawings can be be in the colors you choose. Lines and borders can be in any desired thickness and can be solid, dashed or dotted. Benefit: Put emphasis and clarity in a drawing exactly where you need it. In addition to the hundreds of library shapes included with Chartist, you can import graphic images in a number of formats as objects in the drawing. Image formats include EMF, WMF, BMP, GIF, JPEG, PNG, and TIFF. The images can also be re-sized as needed. Benefit: Use practically any photo or clip art as an object in your drawing. Chartist will create graphics files containing all or a selected part of a drawing. The export formats include PNG, WMF, EMF, VML, and SVG formats. 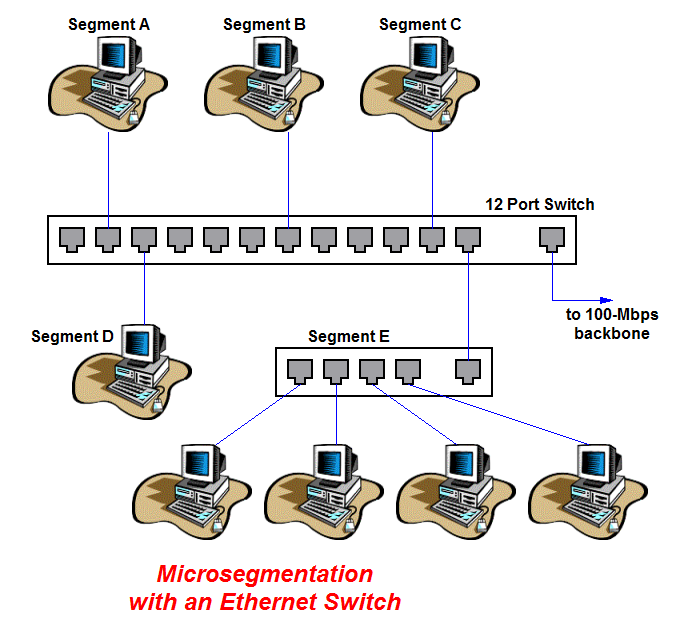 The previous two illustrations above are examples of PNG format created by Chartist. Benefit: Export your drawing in the format best suited for what you need to do. Additionallly Chartist is a COM server, and it interfaces with applications like Word Processors, Presentation Graphics, and any other application that can embed or link to COM objects. This means that you can easily drag and drop, or paste from the Clipboard, Chartist drawing objects into specification documents, for example. Chartist knows how to integrate seamlessly with your other document preparation tools, making you much more productive. 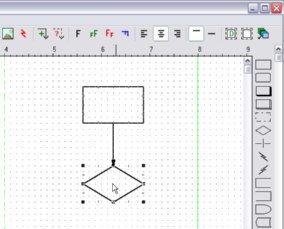 Benefit: Easily create illustrated documents and specifications using your favorite desktop applicaitons.